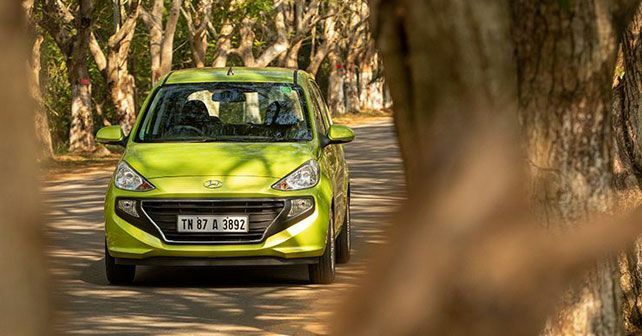 As expected, the newly-launched Hyundai Santro has shaken up the entry-level hatchback segment, strengthening Hyundai's presence in the segment. While the Santro has already raked in more than 30,000 bookings since its launch last month, Hyundai now has to deal with the pressure of meeting its production targets. To lower the existing waiting period of four months, Hyundai is working on increasing the production and, consequently, has revised its November sales target to 10,000 units as compared to last month's target of 8,500 units. Also, the production is expected to be prioritised for the AMT variants, which, as per the current pattern, are likely to contribute a third of the overall sales of the car. The new Santro is indeed an important launch for the Korean brand, as it has put Hyundai on the AMT landscape with the brand's first in-house Smart Auto AMT gearbox making its debut with the car. Thus, the success of the AMT on the Santro will definitely chart the course of future AMT models from the brand. The Santro also features a new K1 platform, which meets the upcoming and more stringent crash and safety regulations. The 2018 Santro derives its power from a 1.1-litre, four-cylinder petrol motor that produces 68bhp and 99Nm of torque. To compensate for a missing diesel option, the new Santro is also available with a CNG-powered variant, which develops 59bhp. To make the ownership experience rewarding, Hyundai is offering a segment-first 3-year/100,000km warranty and a 3-year road-side assistance on the new Santro as a part of its 'Santro First Care' initiative.